Develop your career by combining this part-time counselling course with practical placements or paid work. Earn an academic qualification that also delivers practical skills and the option to top-up to a full honours degree. This Foundation Degree is run at our North-East based partner colleges. You can then 'top-up' to a BA (Hons) Counselling at the University of Sunderland. The course has a strong practical focus and our teaching will help you reflect on your workplace experiences. When you successfully complete this course you will be awarded a Foundation Degree in Counselling that is accredited by the University of Sunderland. Please contact the relevant partner college to apply for this course. During your first year, you will be required to undertake some form of voluntary work so that you can practise the skills that you are learning on the course. In the second year, you will undertake a placement with a counselling agency, and we will support you as you arrange it. This is a highly practical course, which combines academic study and work-based learning. The elements of the course which are taught in the college include lectures, discussions, case studies and workshops. Your progress will be assessed with evaluations of work experience, reports and presentations. Throughout the course you'll have one-to-one support from academic staff. Bishop Auckland College has over 1,200 students enrolled on full-time courses and provides a quality learning experience for all students. Please contact Bishop Auckland College for more information about facilities and location. Please contact East Durham College for more information about facilities and location. The typical entry requirement is a Level 3 Certificate in Counselling. Students would normally be in voluntary or paid work as a Counsellor or undertaking (or about to undertake) paid or voluntary work in a setting which will allow you to practice counselling skills. We also require three passes at GCSE grade C or above, which must include Mathematics and English Language, or a minimum of Level 2 Key Skills in Communication and Application of Number. If you have studied for a GCSE which has a numerical grade then you will need to achieve a grade 4 or above. You may be required to attend an interview. Please contact the chosen college for more information. Tuition fees for part-time students are £5,500 per 120 credits. There is a course requirement stipulating that all students need to acquire student membership of the BACP at own cost prior to beginning counselling practice in a placement. Prospective students are advised to consult the BACP for the latest information on student membership which currently stands at £76. In the second year of the course, students must undertake a placement with a counselling agency. If the counselling placement provider cannot supply an appropriate supervisor, it is the responsibility of the student to identify a suitable supervisor and also pay for any fees charged for this service. A Foundation Degree equips you to move into a broad range of careers or to pursue an honours degree with one more year of study. 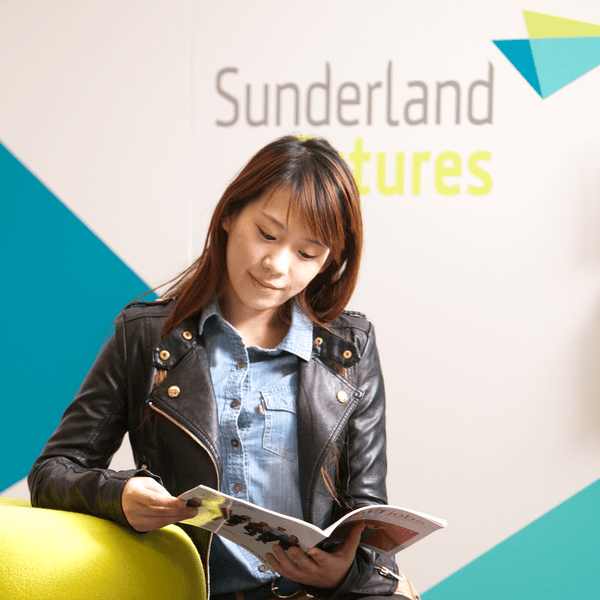 There is a natural progression from this Foundation Degree to the Counselling (Top-Up) course at the University of Sunderland for a full BA (Hons) Counselling. There is a growing demand for counsellors to work in the health sector, voluntary and community sector and in private practice. This is because of better awareness of the benefits of talking therapies by policymakers, health professionals and the general public. Counselling careers include educational counselling (where you help deal with difficulties in learning and social adjustment), forensic counselling (where you become an expert in psychological issues associated with criminal behaviours), and clinical counselling (where you deal with mental and physical health problems). In addition, skills in counselling are useful in many different careers including personnel, social work, public services, marketing and advertising. View Programme Specifications for the Faculty of Health Sciences and Wellbeing.